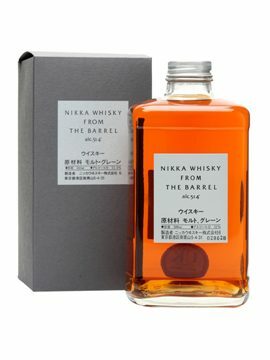 A very hyped whisky, so of course I had to try this blend from Nikka. It is 51,4 % but you don’t notice that on the nose. It is very fresh and light, filled with marzipan, vanilla and hints of malt and oak. Almost like being in the garden a summer day. Yes, a Japanese garden! The taste full of warmth with an oily feeling. More heavy in the taste than in the smell. The finish is just wonderful and it is as if the oil just keeps it in the mouth forever. Lots of fruits with crisp caramel in the end. A bit simple in the smell, but otherwise it is full-bodied and almost creamy. The high ABV is really working for this one. A rather afordable Japanese whisky, but one of the better! A bang for your bucks. I will rate this 88/100 (21/22/23/22).